Our most popular Velour weight, these 15.5 oz. Velour drapes add elegance to any event! 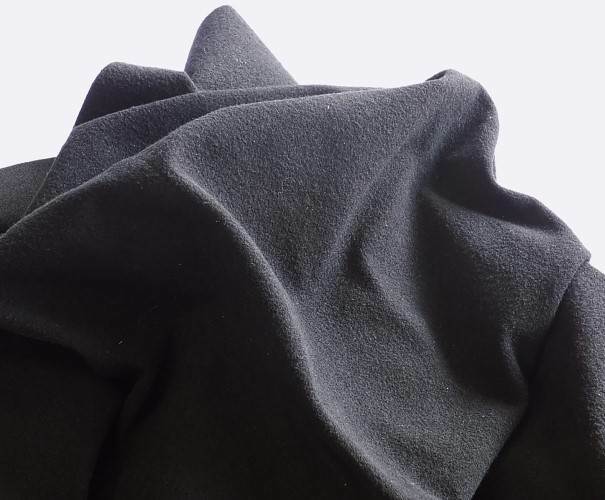 This mid weight material has a low pile Velour finish on the front side, and a lining on the back. Our 15.5 oz. 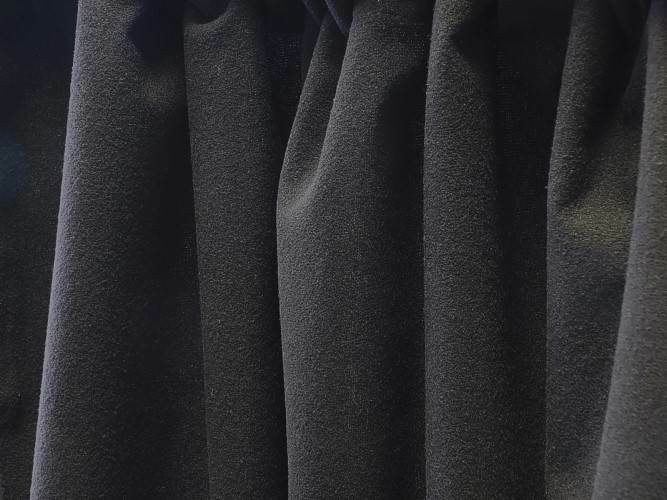 Velour drape is Inherently Flame Retardant (IFR) and passes the NFPA 701 fire code. Each drape measures 142 inches tall x 60 inches wide. Edges are serged. The drape is sewn 2 inches shorter than 12 feet tall to avoid pooling on the floor when used at a 12 foot height. Custom heights are available upon request. 4 inch rod pocket is sewn into the top and bottom. Pockets are sewn so that the Velour finish side is front facing. Quantity 1 = 1 drape. We recommend a minimum of three drapes per 10 foot wide span (for approx. 50% fullness). Approximately 90% opaque (light blocking). This opacity percentage is an estimate only, and for normal / standard lighting situations. A variety of factors can affect the opacity of a fabric, including where it is being used (near a wall vs. dividing the middle of a room), light sources (such as hanging in front of a window with sunlight shining in, etc. ), and the amount of fullness in the material (the amount of "bunching"). *Fabric ounce weight is approximate, per linear yard. This item typically ships within 4 business days*. Large orders and/or orders with ECONOMY SHIPPING chosen as the shipping method during checkout (when available) may have an additional production lead time before shipping. Weight (Approximate, Each): 4 lbs. 0 oz. Never expose fabric to heat above 140°F during any portion of washing or drying. If detergent is used, add only a mild, non-chloride detergent, adding it to the water before putting the fabric in the machine. May be dried in a conventional dryer using a low heat setting. Do not dry clean. Do not iron.